Forget Fear. Worry About The Addiction®. 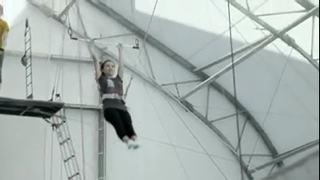 Trapeze School New York offers classes in flying trapeze, trampoline, static trapeze, silks and more. We also produce unique parties, events & team-building workshops. Our mission is exemplified by the phrase Break Barriers. Find the new.™ signifying our quest to realize our dreams, find new experiences, to change lives for the better through flying trapeze and aerial arts, and to have a fantastic time in the process. Copyright © 2019 Trapeze School World Corp. All Rights Reserved.